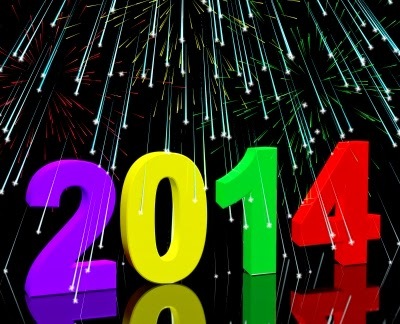 Olive Tree Genealogy Blog: New Year's Genealogy Resolutions for 2014 - Did I Achieve Them? I've never set any genealogy goals for myself. I don't make new year resolutions in my regular life either. Maybe it's because it don't want to fail? I'm pretty hard on myself. However, I think this will be my year for setting some goals. I'll just call them "things I hope to achieve this year." Thanks for the inspiration. Good luck with your writing and Happy New Year! I set goals but really they are more like a large to do list! I'll be printing mine soon. My biggest problem is, like you, I think I can do everything and then life hits reality. Good luck on your goals this year. Best wishes as you write in 2015! I don't usually set goals, either... like Diane. And, like her, maybe it's because I'm afraid I'll fail? Hmmm... and I do my research kind of haphazardly, too. Though I've seen so much about creating research plans. I'm going to have to give this some serious thought. I've accomplished a LOT this year in my research... and it is basically all from following 'rabbit trails'! Hi Dana - thanks for your good wishes! I don't think there is anything wrong with you doing your research by jumping around. If it pleases you, if you are finding things and if it is the way you work best, I say go for it! I think you will find that at some point you'll want/need to have a bit of a plan or organization so that you aren't repeating searches or missing a search completely. Congrats on your 2014 success and good luck in 2015! Diane, I'm hard on myself too and have had to learn that not meeting my goals doesn't make me a failure. It just means I have to rethink how many goals I set or how difficult they are. I like your title for them - better than "goals".